The above admonition was given by the Techiman Area Head of The Church of Pentecost, Apostle Julius Franklin Asante-Ayeh, on Tuesday, March 19, 2019, when he exhorted participants of this year’s Odorkor Area Officers’ Retreat (Apostolisation) at Odorkor Central. Speaking on the topic: “I Will Build My Church,” based on Matthew 16:18, Titus 2:13-14 and Ephesians 2:11-15, among other scriptures, Apostle Asante-Ayeh observed with concern the increasing levels of misdemeanours among contemporary Christians. He noted that an increasing number of contemporary Christians seem not to be fully grounded in the Christian faith, hence fail to live by their godly virtues in their daily engagements with others. 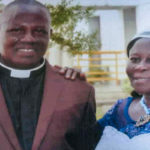 This, he attributed, to the failure of Church leaders and mature Christians to effectively nurture immature members as well as souls won during evangelism outreaches. The former PEMEM Director said that this, to an extent, necessitated the 2019 theme of the Church “I Will Build My Church”, which is the first part of the Church’s five-year vision of “Possessing the Nations”. He reasoned that in order to be able to transform the nations, there is the need for Church members themselves to be transformed and equipped to able to affect the needed change in society. He, therefore, appealed to Church leaders to prioritize the effective discipleship of new converts and the spiritual growth of members in the Church. 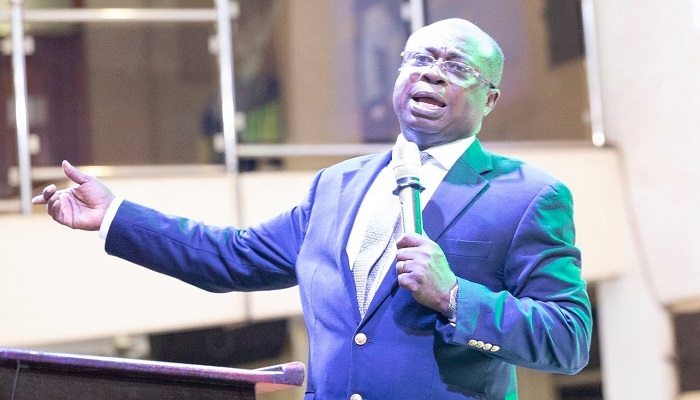 Touching on the purpose of the Church, Apostle Asante-Ayeh stated that the Church is as an army of God equipped to wage war against the schemes and machinations of the devil. The Techiman Area Head also noted that the Church has a dual purpose. On one hand, they are an assembly of people who have been called out of various nations and backgrounds to belong to the Lord and worship Him (Exodus 20:4-5). On the other hand, they are sent back into the world or nations by God to transform it and bring it into the submission of God. Apostle Asante-Ayeh further explained that, God, through the Church, intends to make Himself known to the nations as the One True God (Exodus 20:3-4, Deuteronomy 6:4), and that anyone who submits to His kingship would be happy and prosperous. “The Israelites saw themselves as a reservoir of God’s blessing instead of a conduit of God’s blessing to the nations of the world,” he noted. Apostle Asante-Ayeh, therefore, urged Christians to rediscover their identity as the Israel of God, through whom God intends to reveal Himself to the people of the world. “It takes three requirements for a burnt offering to the Lord are a Priest, a Temple and a Sacrifice. However, now through Christ, every believer has been made a Priest, our bodies have become temples of God with the Holy Spirit residing in it, and we offer our bodies as living sacrifices. “This means that everything we do is worship because it is an offering unto the Lord. Hence, every action we take is an offering to the Lord, and must be pleasing and acceptable to Him,” he said. Apostle J.F. Asante-Ayeh, therefore, urged Christians to demonstrate their virtues by applying Kingdom principles and values to their everyday lives. In so doing, they would take their rightful position as “Light of the World” to dispel the darkness that has engulfed the world, and as “Salt of the Earth” to reverse the decay in society. The Odorkor Area Officers’ Retreat (Apostolisation) would be held from March 19 to 22, 2019 with Apostle J.F. Asante-Ayeh (Techiman Area Head) and Apostle J. O. Kesse (Sefwi Wiawso Area Head) as the main speakers and Apostle Patrick Aseyoro (Odorkor Area Head) as the host minister. The event is being attended by the pastorate and their spouses as well as officers in the Area.